Alt P/N. : V000942580 6017B0258101 .. 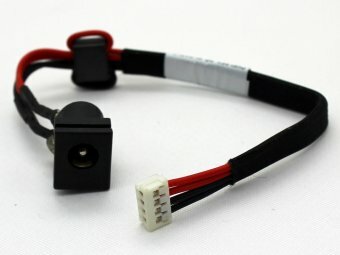 Note: Laptop manufacturers may use a different Power Jack Connector DC IN Cable Harness Wire for Toshiba Satellite C600 C600D C645 C645D C650 C650D C655 C655D Pro C640 C650 PSC00U PSC01U PSC04U PSC08U PSC09U PSC0YU PSC10U PSC12U PSC13U PSC14U PSC16U PSC1AU Series. Please enlarge the actual pictures, check Product Specifications and compare with the original item in your laptop. The customer is responsible for ordering the correct laptop parts.